An excellent detergent thickened bowl cleaner, formulated with a combination of HCL and a heavy concentration of deep cleaning, high- sudsing detergents, synergistically blended for efficient removal of organic material and hard water build-up. Liquid Swabby II has a pleasant sassafras fragrance and is effective against HIV-1 (associated with AIDS). 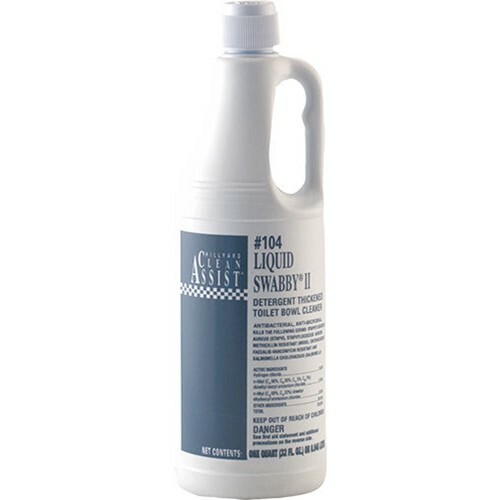 Liquid Swabby II is an effective one-step bowl cleaner/disinfectant even in the presence of 5% blood serum.